The extension group are back for Term 2. Together we have learnt how to make paper cups using origami. Origami is an art. We did this for fun. Mrs Tele'a gave us 12 minutes to follow the instructions and create our paper cups. After we made our cups Mrs Tele'a poured some water into them to test if they work. My cup was able to hold the water. This experience was mostly hard for me because I couldn't understand the instructions. But in the end it worked out. Here are the steps if you want to try make paper cups. STEP 1: Put your paper white side up. After that fold it in half as shown in my movie. STEP 2: Now that it looks like a triangle, fold the top corner down to the baseline. STEP 3: Unfold it and there will be a crease line there. STEP 4: So then you have to fold the left hand corner up to the crease line just made. STEP 5: Do the same to the right hand corner but fold it to the opposite side. STEP 6: Now fold the front flap downwards. Do this to the back flap too. Open it and there you have it. Your very own paper cup. If you want you can watch my movie and it will show you how to do this. 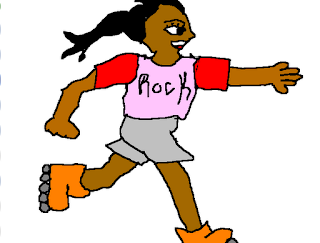 Gliding around the rink at Skateland is great. Just to inform you, that this was during the holidays, but I think you might have already known that. Just as we arrived, my mum and I thought that it was closed to the public, it looked like a private tournament or competition was being held. We looked at each other and exchanged worried looks, as we joined a line. When we reached the front we did the same thing everyone else did, pay. Yah, we were in! Staying close to the side of the rink, I watched everyone skating near me, in case someone would bump into me. “Good job me” I whispered as I managed to avoid another expert skater hurtling past. Pushing myself into the middle of the rink, I noticed a man skating directly towards me. Suddenly he raced past. Anxiously trying to stop, I unexpectedly fell and flipped onto my stomach. Skateland is a great place to go. It definitely put a big smile on my face. 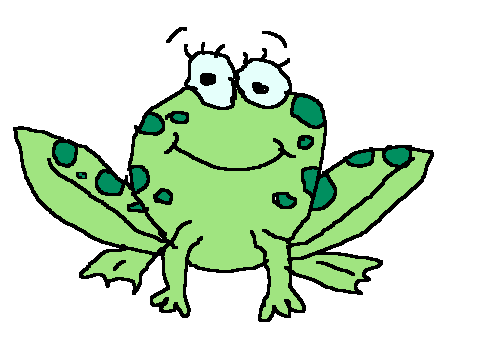 All frogs have different colours and shapes. Having weird habits too. If you are interested in finding out more, keep reading. Frogs are amphibians. Cold- blooded vertebrate animals to be exact. 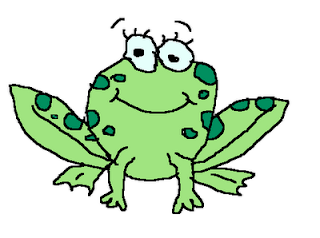 Unlike reptiles, frogs do not have scales and most frogs lay their eggs in the water. Commonly frogs are found at ponds, swamps or slow moving water. Some frogs live on the damp ground of rain forests, others live in moist places. These amphibians live in wet areas because their skin may become dry and they will die. Short body, smooth moist skin, bulging eyes and no neck, these things are common to all frogs. Their bulging eyes are used to look for food and spot their enemies. Using their eyes they can see up, down and sideways, all at the same time! Tadpoles are Herbivores with a tail, and they have no eyes or mouth. A few weeks later they get bigger. 12 weeks later the tadpoles develop eyes and they get a mouth, their tail has shortened too. At this stage they are called Froglets. When they become fully grown frogs they mate once again, then the life cycle starts all over again. Did you know a Frog mates at the age of 3!? Crazy right! Instead of being Herbivores like tadpoles, a grown frog becomes a carnivore. This means they eat meat. Meat such as: small insects, fruit flies, wood louses and crickets. Hibernation is something frogs do in Winter. They can sleep in cracks, logs, underground, rocky areas and in burrows (for some). Sleeping until Spring, the frogs finally awake for the warm atmosphere. Enemies are really threatening to people but luckily frogs are able to trick their enemies even though they have many. Their predators include snakes, birds, turtles, hedgehogs, raccoons and lizards. Just like us, Frogs are able to multiple so that means it’ll take a long time for them to be extinct. Frogs are the weirdest amphibians I know! But, hey, you can’t blame them for being like this. It’s just how life is. Here is an animation I have made. It shows a Korero that Pt England has learnt. It's called Stop, Think and do. Hope you enjoy!